Congratulations to Master Sandy Lyle, on his 25th Anniversary of that heart-stopping 1988 Masters Tournament victory, punctuated by perhaps the greatest fairway bunker shot in history. Mr. Lyle used the Black Swan Putter 115 times for the week at Augusta National’s difficult greens, averaging 28.7 putts per round (better than a shot a round gain on the field). Shades of Harbor Shores in Benton Harbor, MI, and the 2012 PGA Senior Championship, where his fine putting with the Black Swan all week on those brutally tough greens, and his closing 66-64 earned him a fine T4 finish. Lyle’s Black Swan putter turns heads: Sandy Lyle’s unique Black Swan putter had golf fans talking after the first round. Lyle, who celebrated the 25th anniversary of his 1988 Masters victory this week, went back to the high-MOI putter — Black Swan has what could be the largest putter head in golf — following a positive practice round prior to the tournament. Matt Every used a similar putter model to Black Swan (called Black Hawk) last year during the Sony Open in Hawaii. 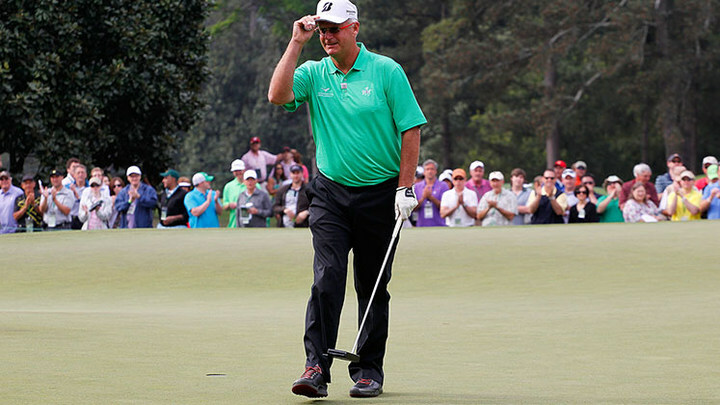 While the putter may look like something out of a Sci-Fi film, Black Swan helped Lyle make the weekend at the Masters for the first time since 2009.